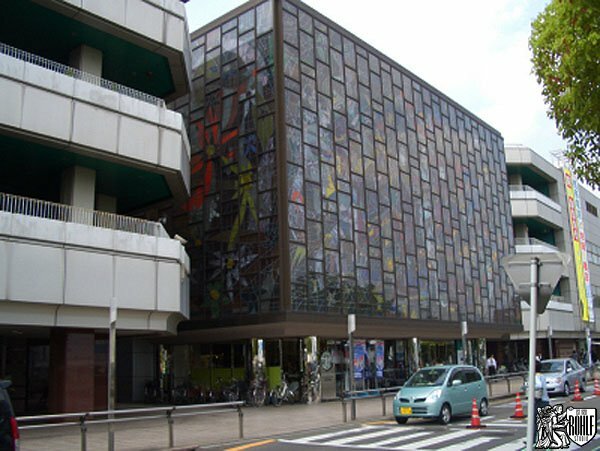 Rohlf’s Studio designed and fabricated an approximately 7,000 square foot stained glass facade featuring a traditional wedding scene for the Kasugai Seibu Shopping Center in Nagoya, Japan. 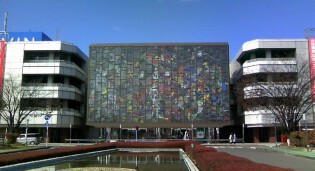 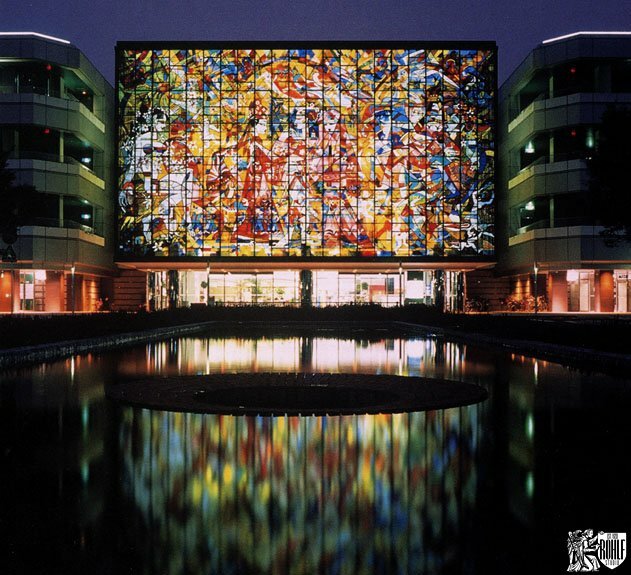 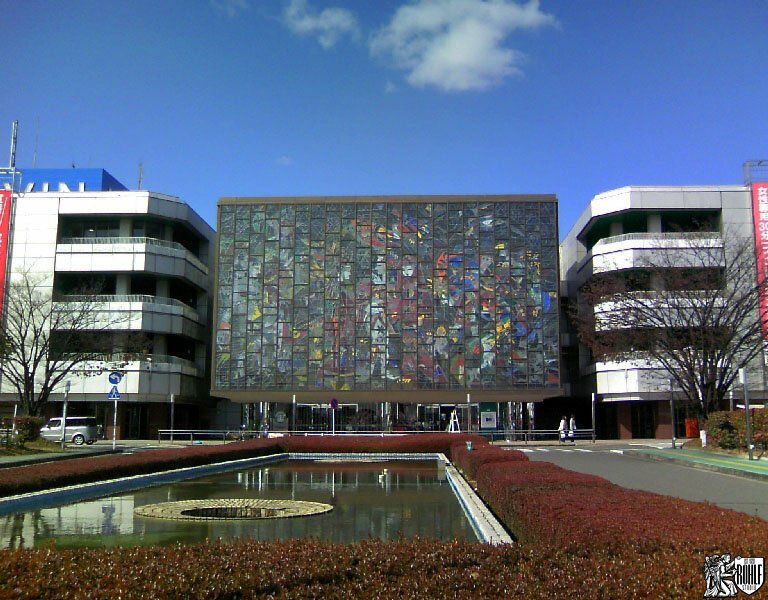 Exterior view of an approximately 7,000 square foot new stained glass facade which was designed and fabricated by Rohlf's Studio at the Kasugai Seibu Shopping Center in Nagoya, Japan. 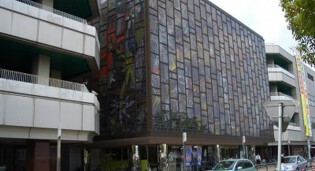 View of side elevations. 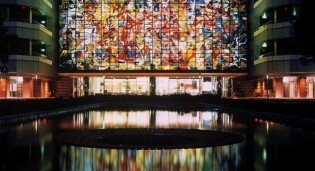 Designed by Jean Jacques Duval. 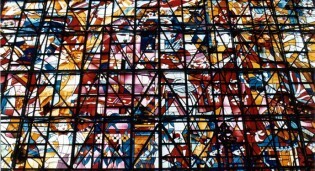 Night exterior view of the stained glass depicting a traditional wedding scene that was designed and fabricated by Rohlf's Studio. 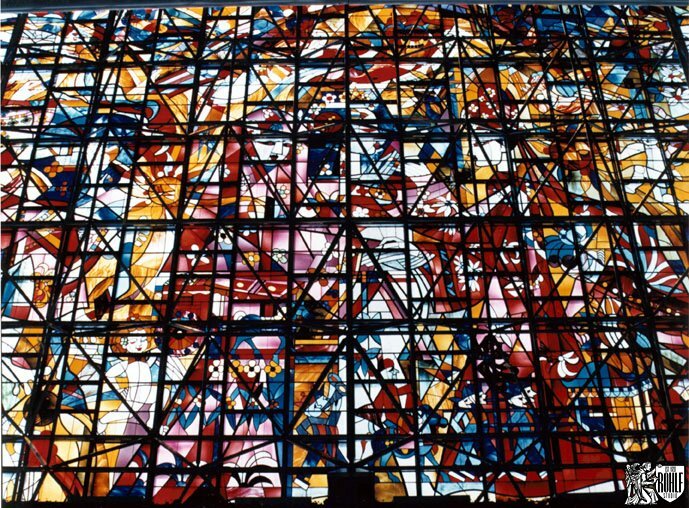 Interior structural view of support systems.